Hi everyone! A late post today - getting this in at the nick of time for a couple of challenges. Though this is a simple card, it was a little more complicated than it looks. 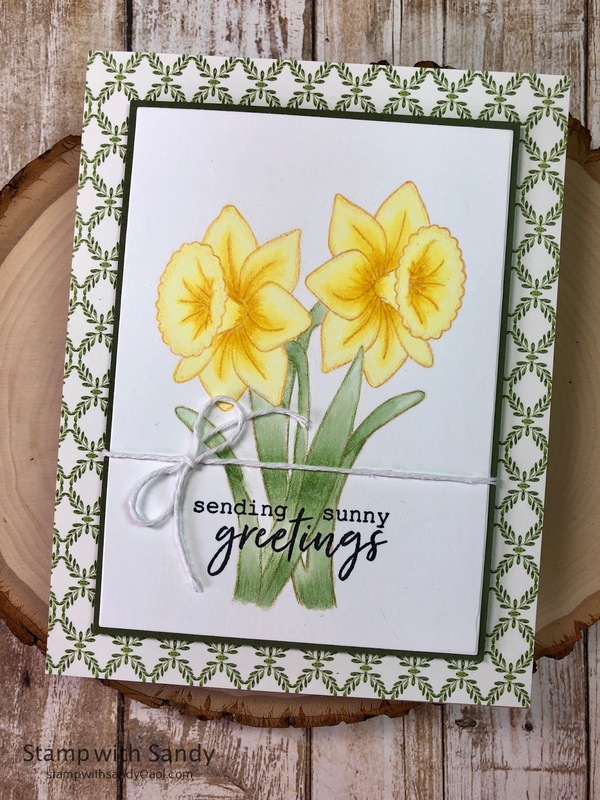 The daffodil stamp is just a single bloom, and I had seen this video from Jennifer McGuire on how to do mirror stamping, so I thought I'd give it a try. My first effort using black ink didn't come out nearly as well as Jennifer's, so instead I decided to use Desert Sand ink which worked much better. I stamped the reverse of the daffodil first, make a reverse mask, and then stamped the original image. I colored the images with Copic markers and colored pencils. After that, I decided to keep the rest of the card simple. This was a learning experience for me and I look forward to trying this technique again. 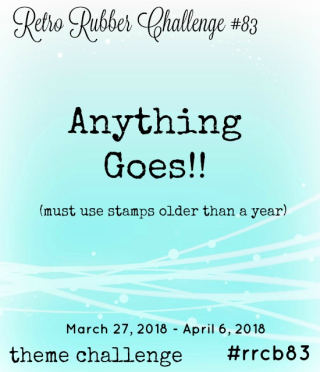 I'm playing along with three challenges today. 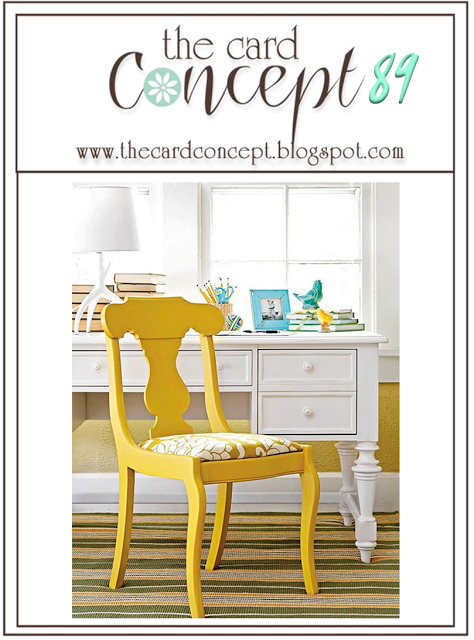 I was inspired by the daffodils at Inspired By, and the sunny yellow chair at The Card Concept. 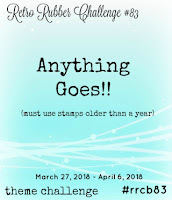 My daffodil stamp is from 2015 (and this is the first time I'm using it, my bad!) so I am also sharing this at Retro Rubber. What a beautiful card, Sandy! I think you succeeded with this technique perfectly! Great coloring!! Thank you for playing with us at Retro Rubber and hope you will join us again soon. This is a lovely card, Sandy! I was amazed to read that this was a single stamp reversed... your attempt is a complete success. I do love the patterned paper that you've got as a background - it really brings out the green on the flowers. The wee twist of twine is a such a simple but stylish finishing touch. Thank you for joining us at Retro Rubber Challenge. 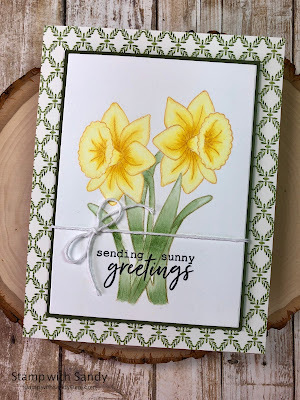 You totally succeeded with the Mirror Technique on your beautiful card, love these gorgeous Daffodils which you colored perfectly. Lovely Spring card, thank you for sharing at RETRO RUBBER, hope you play again soon. LOVE it from design to image mirror, it’s a very beautiful card! Loved seeing it in the Inspired By challenge gallery. Wow, this is amazing! I will have to check out Jennifer's video...although it sounds challenging to me, yours is perfect! Pretty image, lovely background paper and the sentiment is perfect! So happy you could join us at both Inspired By AND Retro Rubber with this beauty! It's so much fun learning new techniques and tricks of the trade but especially when you can share a lovely finished project. 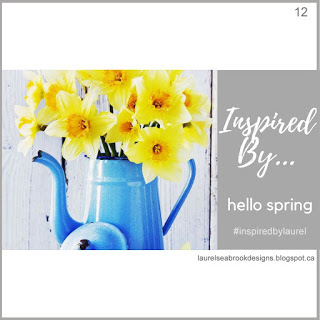 The daffodils should be the focal point! Thanks so much for sharing and playing along with Retro Rubber.